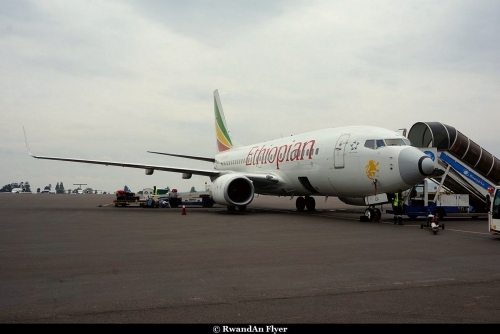 Ethiopian Airlines to become the RwanndAir strategic partner ? According to the Reporter (Ethiopian Newpaper), Ethiopian Airlines has confirmed that they will become the RwandAir strategic partner. A RwandAir delegation led by Girma Wake, included John Mirenge the CEO, Jean Paul Nyirubutama Deputy CEO and COO, and a advisor from MININFRA was in Addis Ababa 2 weeks ago. Others meetings will take place at Addis Ababa, to finalize the agreement. Ethiopian Airlines sets to buy stakes into RwandAir ? Informations coming from Addis Ababa, said that Ethiopian Airlines has shown its interest to become a new strategic partner for RwandAir. The Reporter says, that an Ethiopian Airlines delegation meet both RwandAir management board and members of the Rwandan Governement to talk about the possibilty to buy stakes into RwandAir. Despite to be not profitbale, RwandAir grown very quickly since 5 years, with the arrival of brand new aircraft but also with the opening of new destinations. In 2015, RwandAir plans to add another Dash Q400NG and to open new routes to Lusaka, Abidjan, Luanda or Mumbai. By 2017, the airline hopes to add two Boeing 787s and thus to start new routes to China and Europe. Altough the Governement of Rwanda has injected lots of money into RwandAir, this latter has always wanted to privatize the airline. A first attempt was made in 2007, but it failed. Authorites have understood, that it was too early. The Governement of Rwanda has hired Ernst & Young and received some help from Luftnansa Consulting and Turkish Airlines. Accordings to projections, the airline could be break even in 2016. Despite its dramatic growth, RwandAir needs a big partner to expand its wings across the Africa and the rest of the world. Ethiopian Airlines could be a good partner, the sucess of Asky and Malawian is a good proof. Furthermore, Ethiopian Airlines and RwandAir have already strong ties. The commercial Director and the Chairman come from Ethiopian Airlines. Both airlines have signed agreements about maintenance and training.